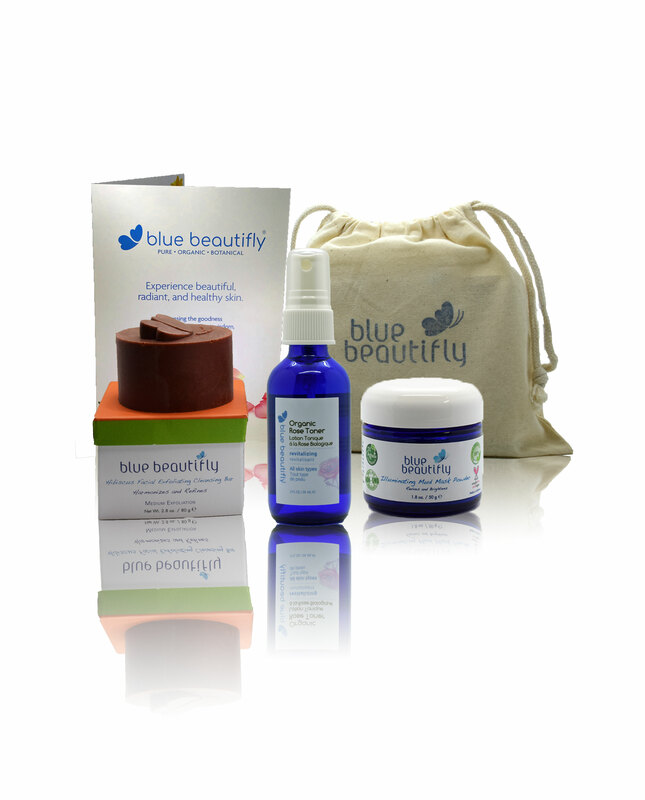 Brightening Bundle includes a set of brightening plants and clays infused ingredients that are designed to pamper your skin once or twice a week for a more illuminated and supple skin tone. 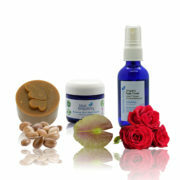 The magical herbs, clays, and flowers will exfoliate and brighten your skin visibly. Rub Hibiscus Facial Exfoliating Cleansing Bar directly on your wet facial skin in a circular motion. Then splash the face with lukewarm water and gently tap dry. Spray Organic Rose Toner on your skin. Prepare Illuminating Mud Mask Powder according to the instructions on product packaging. 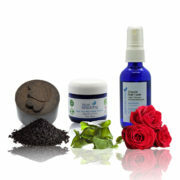 Spray Organic Rose Toner on your face and neck and apply the mask. Leave on for 15 minutes, then rinse while massaging your skin in a circular upward motion. Gently dry the skin. Spray Organic Rose Toner on your skin. After exfoliating your skin and applying the mask, massage your skin with Blue Beautifly Oil Serums for more potent nourishment and renewal effects. 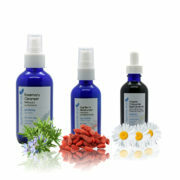 Finish with Blue Beautify serums and moisturizers.